Another review from my Charis Korean Beauty Box is GLAMSKIN Moisturizing Gel Mist. 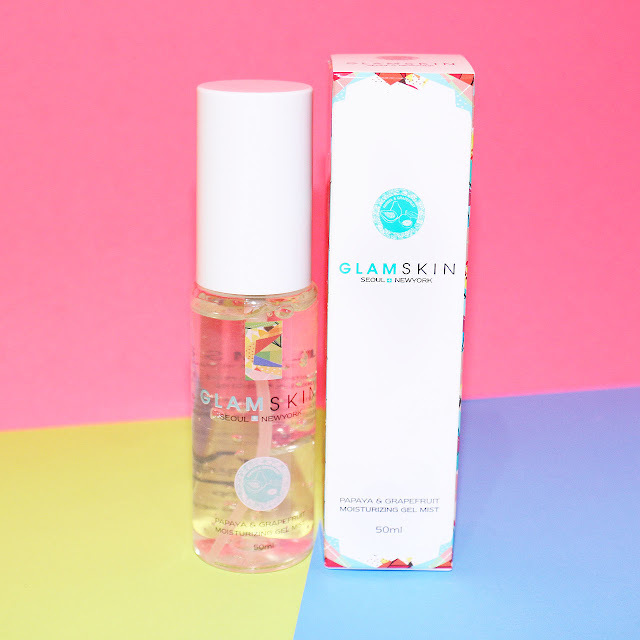 This is the first product I tried from GLAM SKIN, an “gel-type, highly enriched essence with grapefruit and papaya extracts provide nutrients and moisture to your skin, creating a glossy look” as it is written on the product. 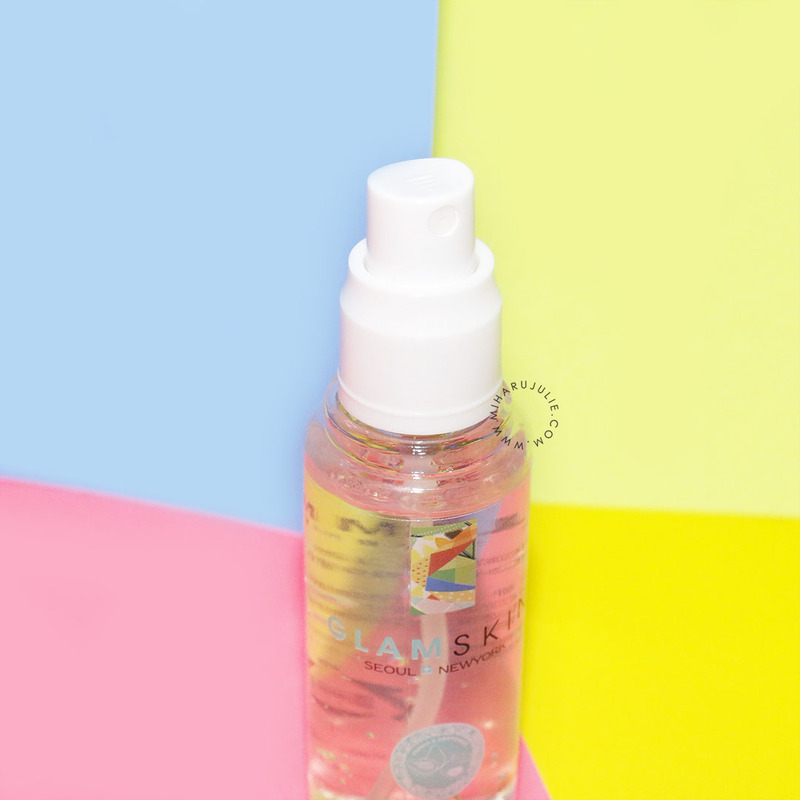 The packaging GLAMSKIN Moisturizing Gel Mist mist comes in a white colored see-through plastic bottle with a spraying nozzle. The side of cardboard box have a cute pattern. Other than that the design is simply clean. You can check the whole list of ingredients on CHARIS. 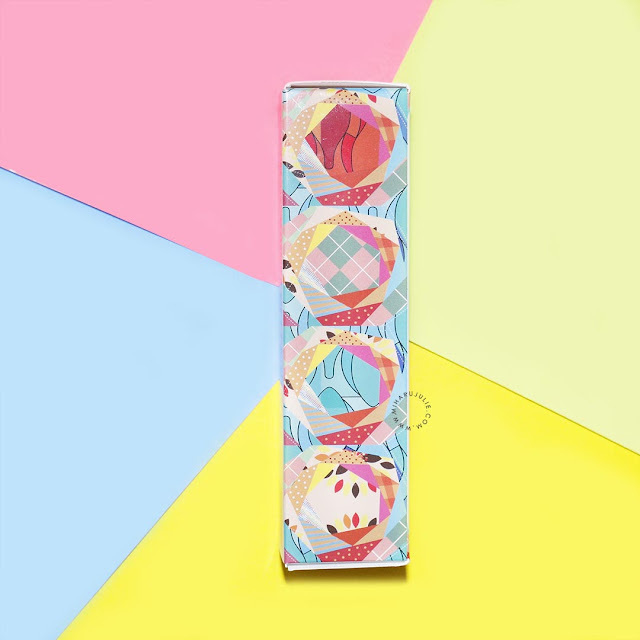 If your skin feels dry before and after applying makeup, close your eyes and spray your face at a 20cm distance. 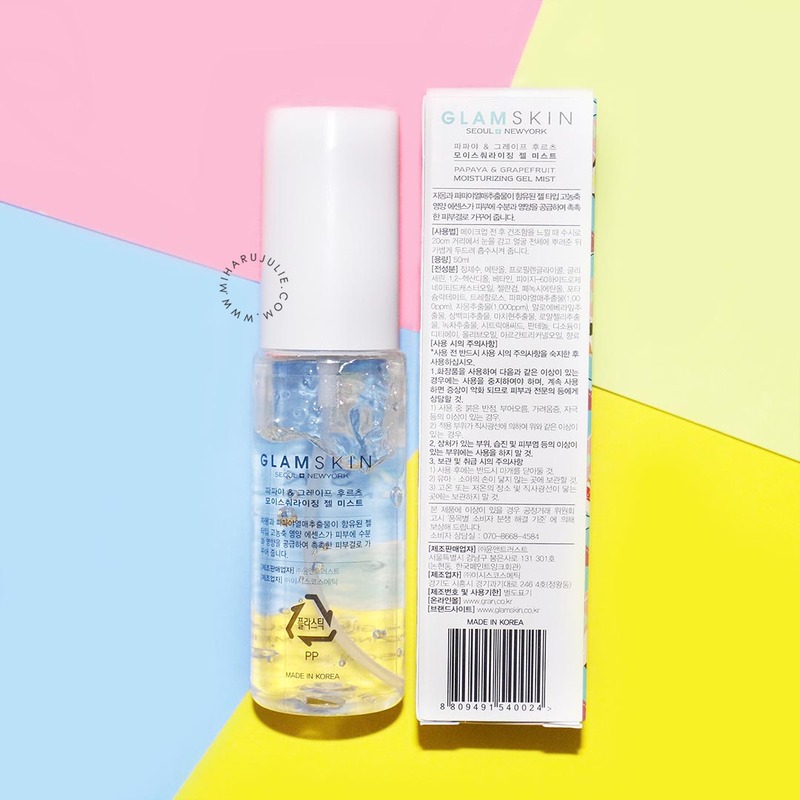 The fact that it is a mist makes it easy to apply. Furthermore the mist is super fine. It has a cooling and thus refreshing feeling while applying. And it absorbs quickly into the skin without being sticky. 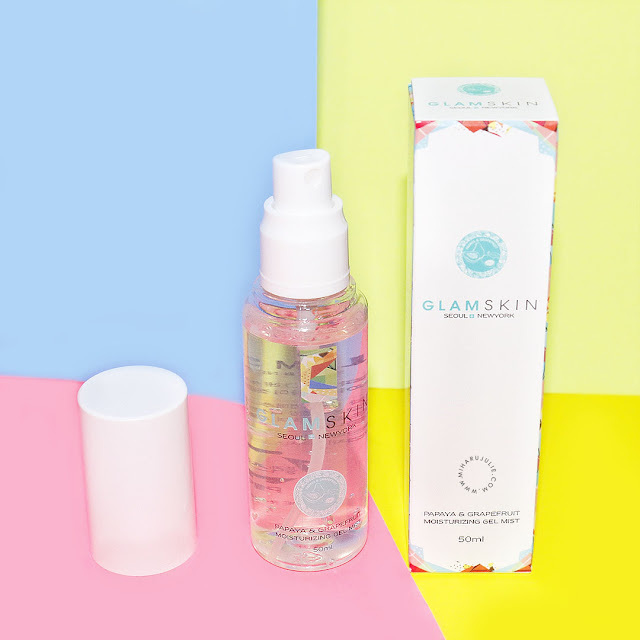 My skin didn’t get any irritated since I’m using it. Great product i need this one. El envase es muy gracioso! Hi Julie, thanks for your comment on my blog. You have a nice space! I follow you.